Railpictures.ca - Michael Berry Photo: A rare daylight CN 529 is crossing from the south to the north track at Turcot Ouest with NS 9144, NS 8010, NS 9517 & 39 cars. | Railpictures.ca – Canadian Railway Photography – photographie ferroviaire Canadienne. 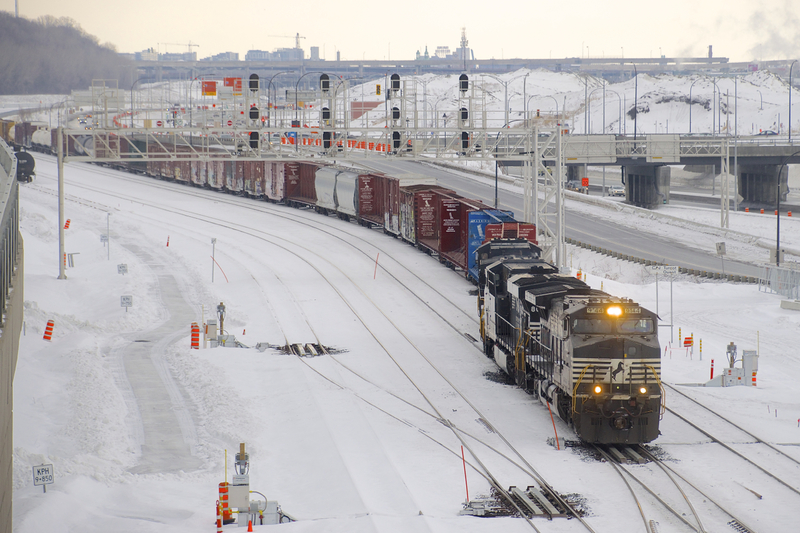 Caption: A rare daylight CN 529 is crossing from the south to the north track at Turcot Ouest with NS 9144, NS 8010, NS 9517 & 39 cars.